Last week, I created the Praying for your Little Boy Printable. This week I have one for you mommas with little girls. 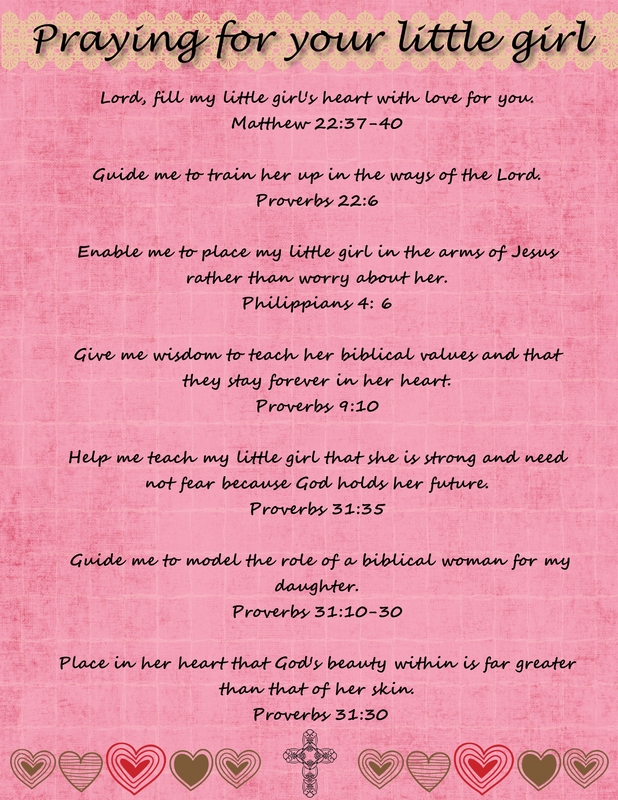 I hope that this sweet little printable praying for your little girl (pdf) will encourage you to pray for your little doll. I just love these printables. Thank you so much!